A thrashing, melodic, heavy metal powerhouse, Germany’s Wolfen have been biting down hard since their formation in 1994 and Rise Of The Lycans is album number 6 from these German stalwarts. 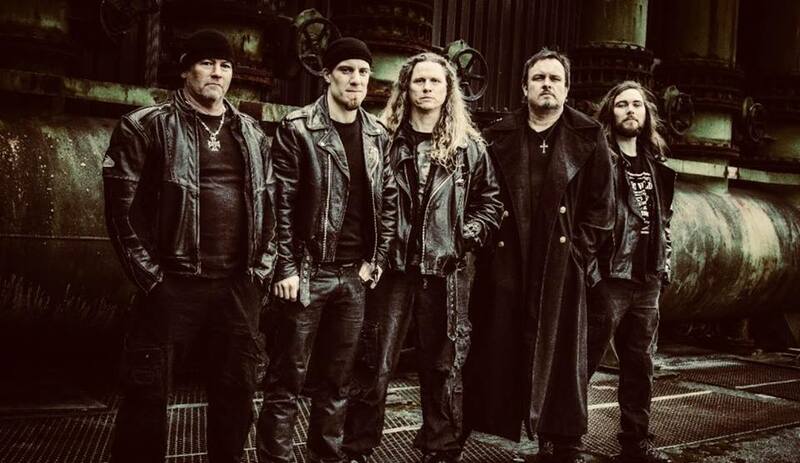 Wolfen may be crunchier their contemporaries – with their thrash riffs ‘out-heavying’ their peers at almost every turn – but they’re still a little shy of matching the quality of Accept, Helloween and Primal Fear etc. The likes of “Xenophobia” and “Succubus” may hit hard with their Iced Earth-esque bluster recalling the heavier moments from Something Wicked This Way Comes, but there’s a dire need for more variety and perhaps a little self-editing when it comes to making this particular beast a little sleeker and a little more lithe! Case in point, “Science & Religion” goes nowhere and merely plods its way through 6 relatively dull minutes. Equally, “Forgotten Dreams” rattles on a bit, although moments do administer a certain neck-wrecking charm. Fortunately, the title track stalks and strikes with vicious efficiency but overall Rise Of The Lycans is lacking in enough memorable moments when viewed as a whole.